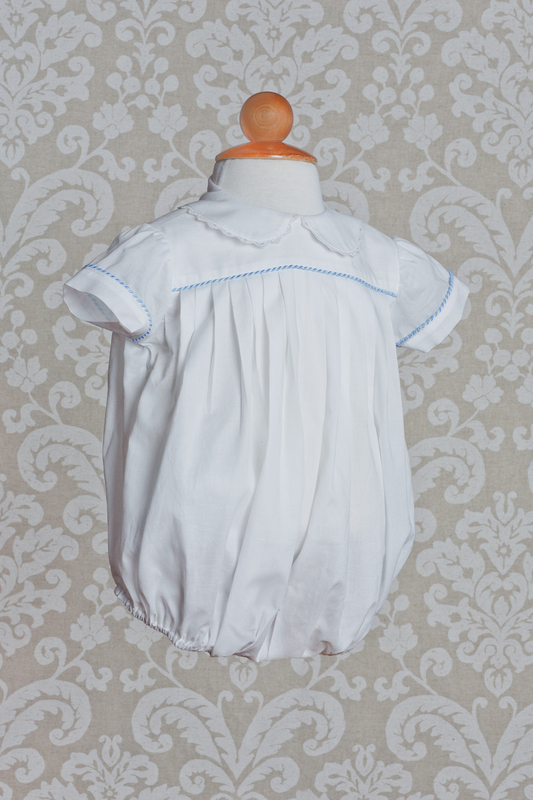 This soft and comfortable one-piece baby bubble is perfect for a less formal christening ceremony, through the time after the ceremony and photos. It is also perfect anytime you want your little darling – boy or girl – to be comfortable and happy. They will always look dressed up. 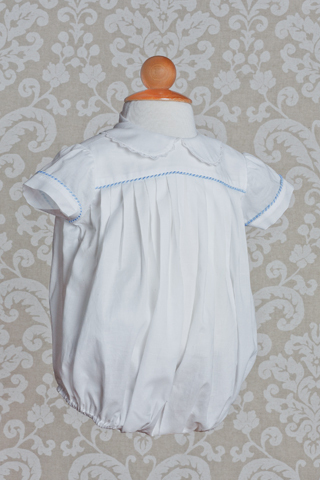 Pearl buttons at back neck and leg openings, for ease of dressing and access to change diaper changes. 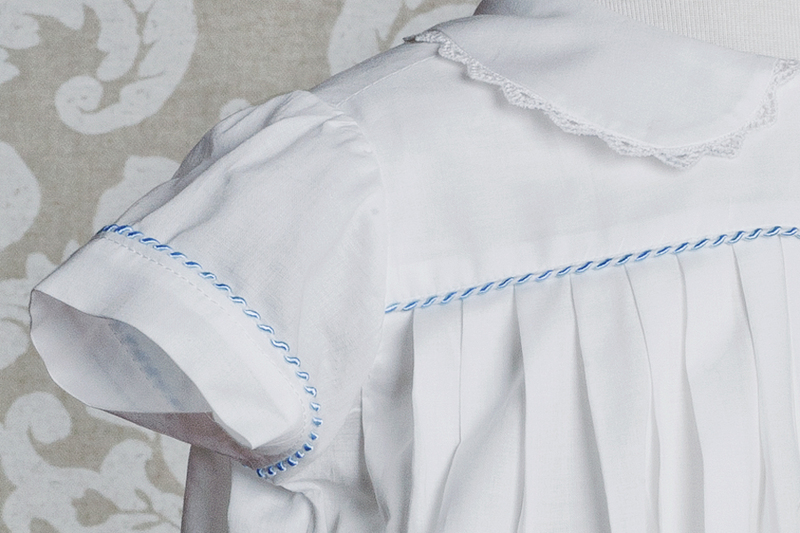 100% cotton batiste – Wash in lukewarm water. Air Dry only. May be finish-pressed with steam iron on wool setting.